Léo Delibes was 30 years old when he achieved his critical breakthrough in France’s musical metropolis and created his classic Coppélia. The scenery for this fairy-tale piece was designed by Charles Nuitter, and the story was taken from ETA Hoffmann’s Der Sandmann (The Sandman). 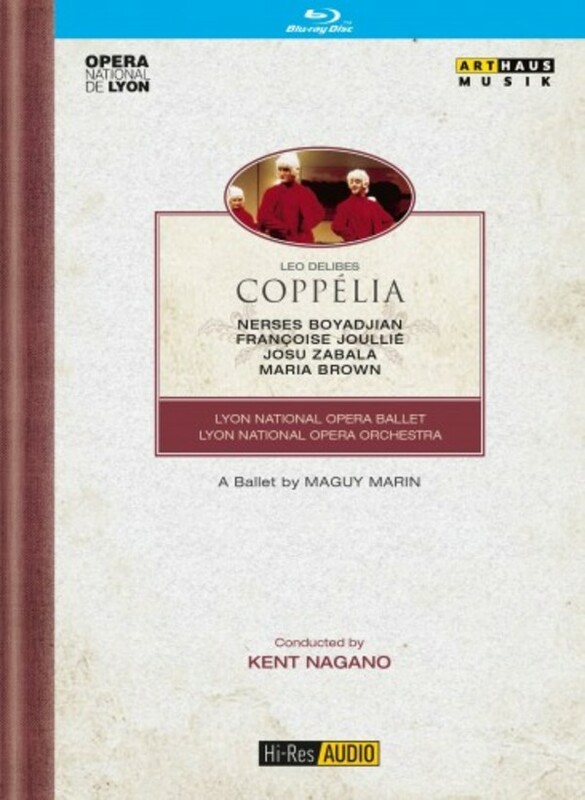 In 1994 the Opéra National de Lyon performed Léo Delibes’s ballet Coppélia under the choreography of Maguy Marin. This special video production by legend Thomas Grimm was filmed on location in Lyon and in the studio. Star conductor Kent Nagano directs the orchestra of the Lyon National Opera. This series of Hi-Res Audio releases features the pure sound experience of studio master tapes, available digitally for the first time in their uncompressed form. The 24 Bit resolution with 192 kHz sampling rate enable a whole new way to listen to the original.